and the topic is "Our Responsibility to Nurture the Rising Generation" found in the Ensign, September 2010. I have been a little slow getting my this posted as this past week I was called into Young Women. I can't tell you how much work it has been for me to get calendars, Meeting Agendas, and so many other things put together and looking so cute, like I like to do. There have been Sunday and Weekday meetings, Presidency meeting, and Bishops leadership training as well as a meeting with the President to orient me and fill me in on my new calling. I have come to really admire the time that the Young Women leaders put into their callings, because it really is a sacrifice at times. I know that things take days and weeks to plan and carry out and the focus on teaching and "nurturing the rising generation is a huge responsibility. This months Visiting Teaching message has a quote from Sister Julie Beck that says: "So what is it that will keep the rising generation safe? In the Church, we teach saving principles, and those principles are family principles, the principles that will help the rising generation to form a family, teach that family, and prepare that family for ordinances and covenants—and then the next generation will teach the next and so on. As parents, leaders, and Church members, we are preparing this generation for the blessings of Abraham, for the temple. 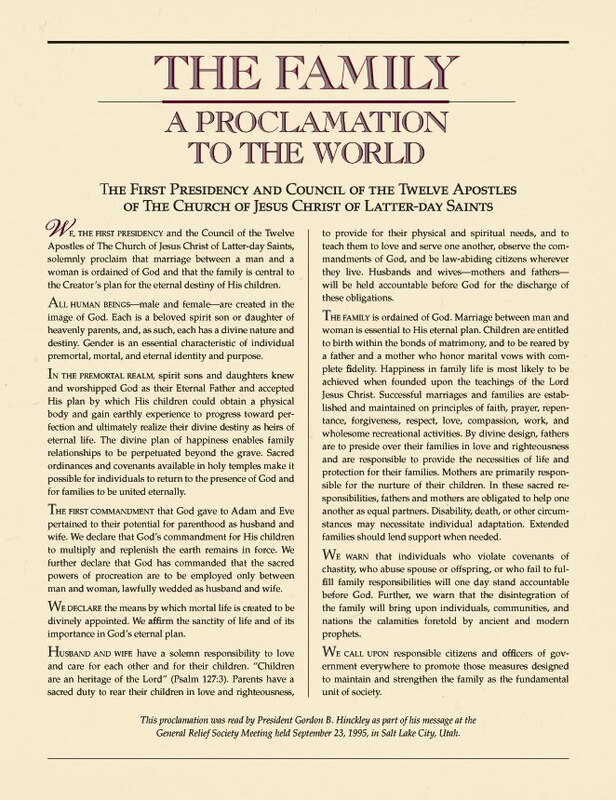 We have the responsibility to be very clear on key points of doctrine found in the proclamation on the family. Motherhood and fatherhood are eternal roles and responsibilities. Each of us carries the responsibility for either the male or the female half of the plan. We can teach this doctrine in any setting. We must speak respectfully of marriage and family. And from our example, the rising generation can gain great hope and understanding—not just from the words we speak but from the way we feel and emanate the spirit of family." This quote brings me back to the admiration and gratitude I have come to feel from the leaders who spend so much time with our Youth. This past week, in the Ward Leadership training that I attended for the Young Women leaders and Youth Presidency leaders, there was wonderful council and guidance given. But the one thing that stuck out in my mind and really hit me hard was when our Young Women's president gave a statistic that 1 in every 1000 Youth will "Be Strong" in their moral convictions. I don't know where she got her statistics from but that hit me like a ton of lead. One out of every thousand kids in this world today will stay morally clean? How very sad but what a challenge and goal to be that "ONE!" My mind instantly began to try to comprehend one in a thousand, and I determined that it would take about 3 wards of all ages in my city and stake, to get 1000 people together. I thought about the local High Schools and thought that they probably have 1000 plus kids attending school. Imagine.... only person in the entire school or out of 3 wards, being the one who stayed morally clean. This thought disturbed me greatly to know that our children are being raised in a world that is so lacking in morality. How difficult it must be for this rising generation to actually rise to all that the Lord has in store for them. I know that the most choice of Gods Children are being born now and some years before because they will most likely be those Warriors who have been saved for this day and time. These children have to be strong and will be like Helamans warriors, but fighting a different kind of battle. Their battle isn't being fought on foreign soil, with breastplates and swords, but they will have to be armed with virtue, and character, purity and soberness, in order to win their battle. All I can say is Pray for the Youth.... Pray that they can be strong and that their greatest example will always be Christ. Pray for their courage to make righteous choices. Pray for their strength to say no to drugs, alcohol, promiscuity and anything else that the world will try to tempt them with. 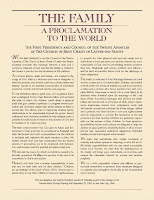 Addressing the sisters at the general Relief Society meeting on September 23, 1995, President Gordon B. Hinckley said: "The world we are in is a world of turmoil, of shifting values. Shrill voices call out for one thing or another in betrayal of time-tested standards of behavior. 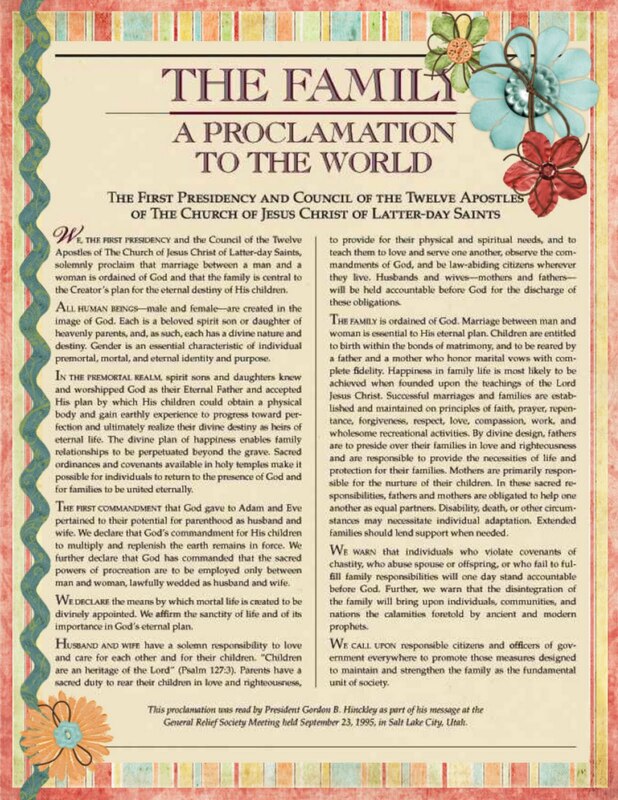 "1 President Hinckley then went on to introduce to the sisters, the Church, and ultimately people everywhere "The Family: A Proclamation to the World." I encourage you sisters to do whatever you can do to strengthen your families, and help to strengthen the families and children of others, through your service in this Church, through your neighborhood friendships, through your family ties and through the associations you have with your children's friends. Do all you can to help teach and protect this Rising Generation. 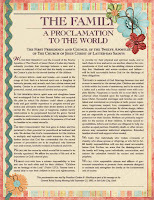 For the handout... the lesson suggests giving a copy of The Family: A Proclamation to the World, and I have the links posted on http://visitingteachingsurprise.blogspot.com/ so that you can print it off.